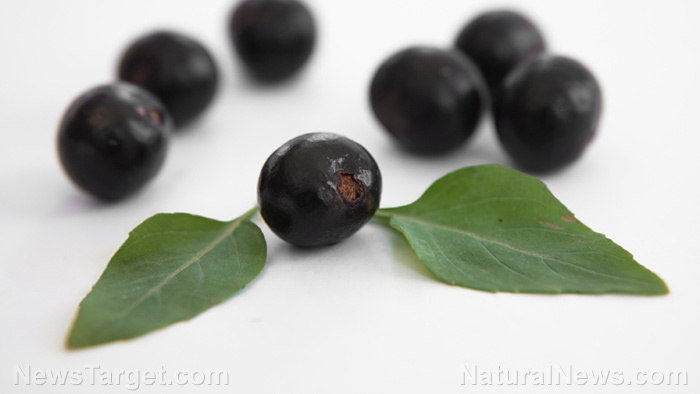 (Natural News) Researchers have found a novel benefit from the acai fruit (Euterpe oleracea), as its seeds have been found to prevent and treat renal hypertension and its symptoms. In their study, published in the Journal of Medicinal Food, the team identified that this benefit may come from the fruit’s antihypertensive and antioxidant properties. For the study, researchers looked at the ability of acai seed extracts to protect the kidney from symptoms of high blood pressure using a hypertension mice model. They gave mice either 250 milligrams per kilogram (mg/kg) of acai seed extract daily or a placebo for 40 days. Then, they measured serum and urinary parameters, renal structural changes, and oxidative status. The results demonstrated that acai seed extract prevented the increase of systolic blood pressure, glomerular volume, and collagen deposition. Moreover, it improved the levels of urea and creatinine and urinary protein excretion, which were increased due to renal hypertension. It also prevented increased oxidative damage and restored nitrite content and the expression and activity of antioxidant enzymes. In addition, the treatment significantly reduced renal injury and prevented renal dysfunction. These findings indicated that acai seed extract can be used to treat and prevent renal hypertension and its symptoms. Read on to know what health benefits it can give you. Provides many nutrients: Acai berry is packed with fiber and fatty acids, such as oleic, palmitic, and linoleic acids. It also contains 19 amino acids and several sterols, such as campesterol, stigmasterol, and beta-sitosterol. Acai berry mainly has anthocyanins and proanthocyanidins as phytochemicals. It also contains more antioxidants than other commonly consumed berries. Enhances cognitive function: Research has shown that having a diet rich in antioxidants and anti-inflammatory polyphenolic compounds may reduce the risk of age-related brain diseases like Alzheimer’s disease and Parkinson’s disease. Acai berries are particularly rich in the antioxidant anthocyanin, which may promote brain health by reducing oxidative stress and inflammation. Anthocyanins are also known to enhance and improve memory by inhibiting neuroinflammation, stimulating synaptic signaling, and enhancing blood flow to the brain. Protects the heart: The anthocyanin content of acai berry also supports heart health because of its ability to combat oxidative stress. Research has shown that regular intake of anthocyanins can lower the risk of heart attack. Acai also contains fiber and heart-healthy fats that keep the heart healthy by increasing high-density lipoprotein (HDL) cholesterol and lowering low-density lipoprotein (LDL) cholesterol. Wards off cancer: Anthocyanins in acai berry make it a great food to combat cancer. Many studies on cancer cells have shown that in addition to the antioxidant and anti-inflammatory effects of anthocyanins, these compounds activate detoxifying enzymes, preventing cancer cell proliferation, promoting cancer cell death, inhibit the formation of tumors, and prevent cancer cell invasion. Boosts athletic performance: Research has shown that drinking acai berry juice for six weeks helped with exercise-induced muscle injuries, increased plasma antioxidant activity, and improving serum lipid profiles. Read more news stories and studies on medicinal foods like acai by going to Superfoods.news.